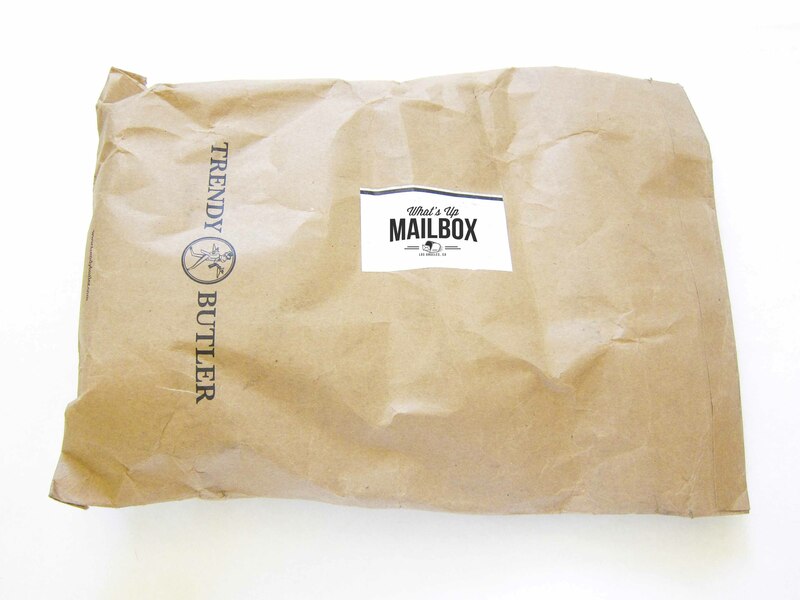 Trendy Butler is a subscription that delivers brand name and trendy menswear based on a style profile that you complete upon subscribing. 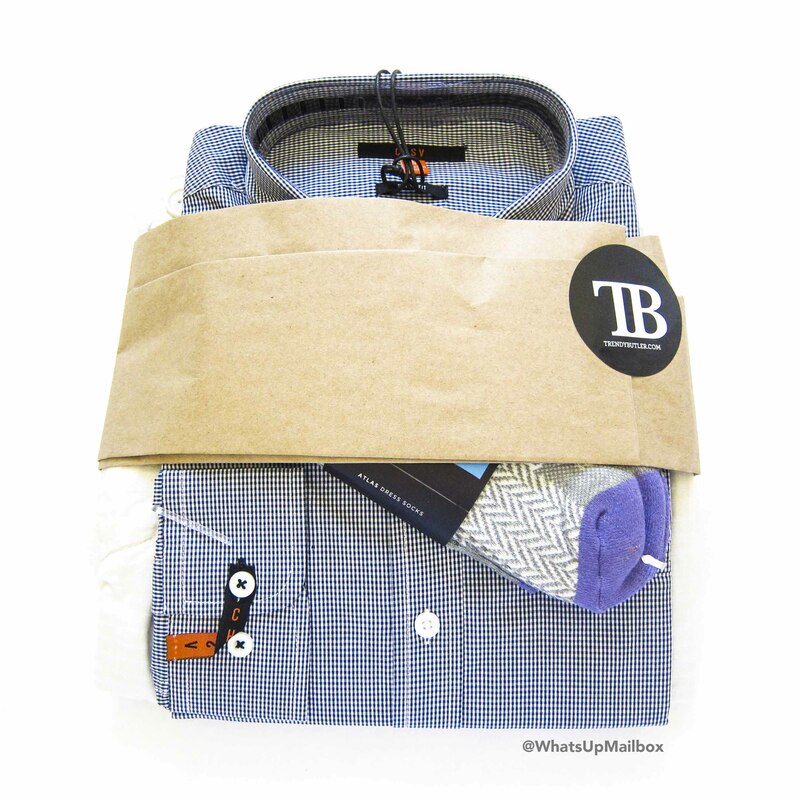 And since men’s clothing subscription are few and limited, I’m always up for reviewing one! First look at unpacking shows the items packaged together with brown paper wrapping and their logo sticker. 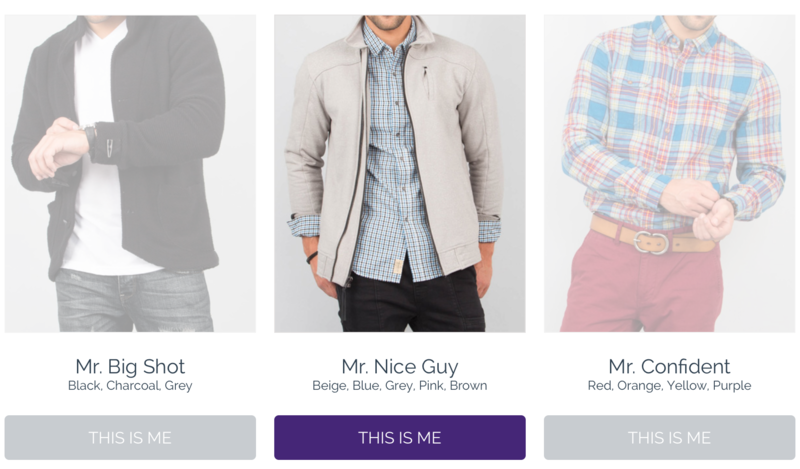 When you subscribe to Trendy Butler, you complete a style profile so that they can send out items that match your preferences and size. Each month your stylist will go through their partnered apparel network and with the criteria of your style profile, coupled with your location and feedback from previous shipments, they will select items to fit your needs at a price that wont break the bank. FYI, if you have a special occasion or specific need from time to time, you can send them a Special Request just by emailing them. I couldn’t really find this exact shirt online but their buttondowns retail for $100+ and I see a lot of different style on sale at various retailers for $50+. My husband’s profile is “Work Hard, Play Hard” and he mostly dresses in business casual. Dress shirts are definitely a must and an obvious choice for this profile so I wasn’t surprised to see that they sent this. He loves buttondown shirts and can never have enough of them since you can wear them both casually or formal. This was a match! It says that the fit on this shirt is “Sharp Fit” and my husband typically likes his buttondowns to be slim so we’ll see how this fits (picture below). The fit is perfect and just how my husband likes them. The small plaid pattern is also a great look that adds texture but not overly loud. Perfect for business casual. These shorts are available for sale at Nordstrom for $85! They don’t have this exact color anymore but it’s exactly the same style. I was surprised when I read that these shorts are REVERSIBLE! 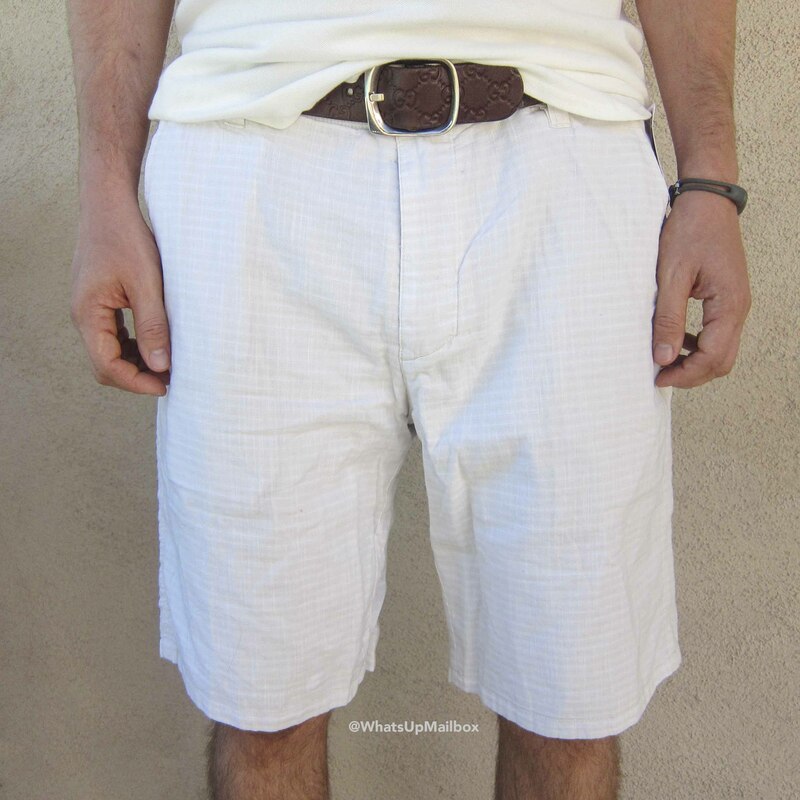 I don’t think my husband has these type of shorts before and when I showed it to him, he seemed skeptical at first but became excited at the prospect of having 2 shorts in 1. 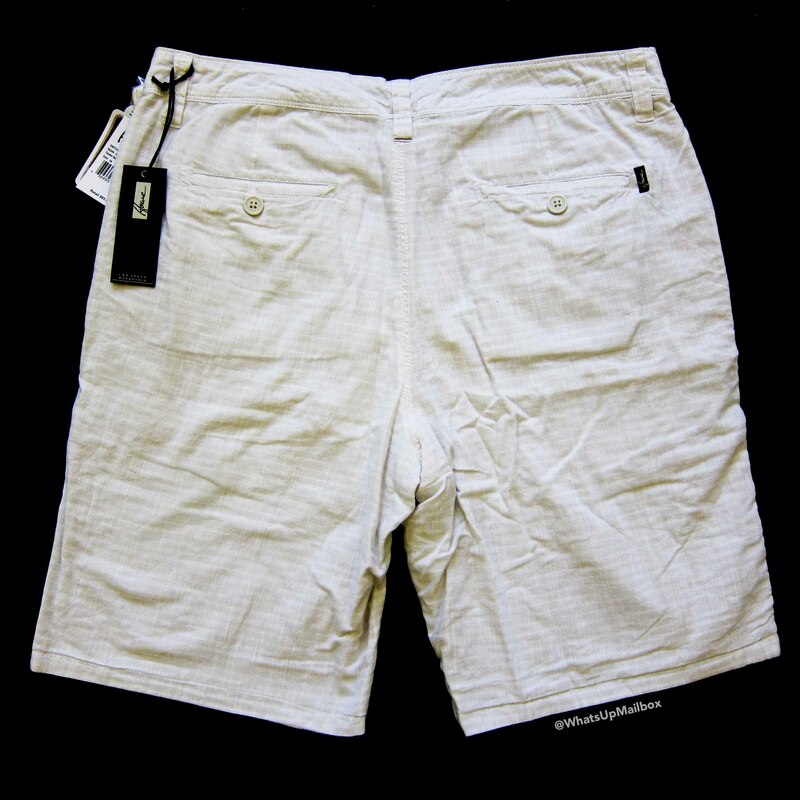 These shorts have two front pockets with a button closure and in case it’s hard to see, it has a plaid design in a very light color. It’s a light khaki color that is perfect for the summer season. 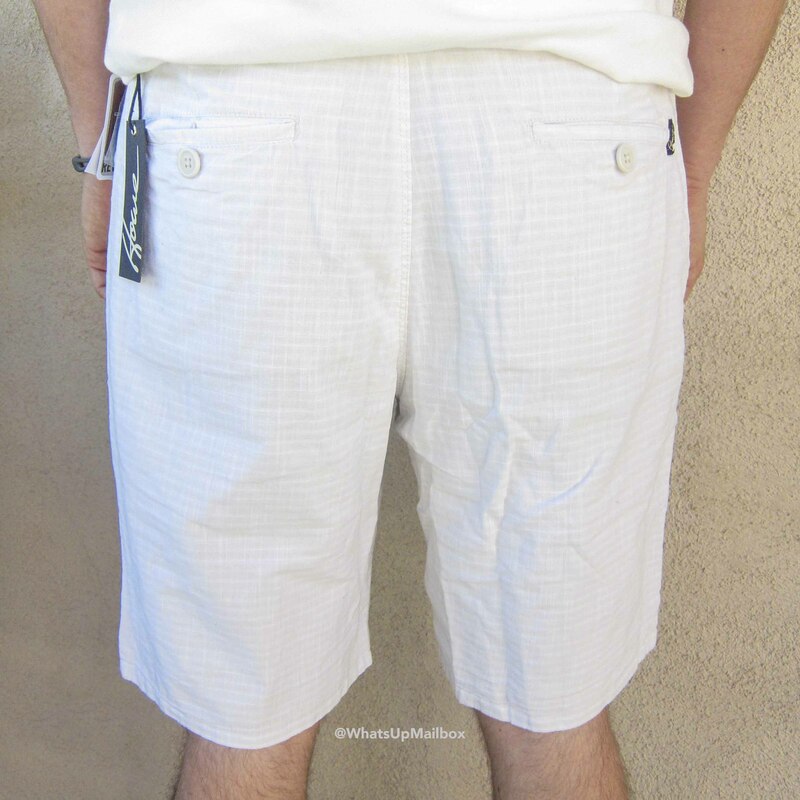 The back side of the shorts show two pockets that are secured with buttons. 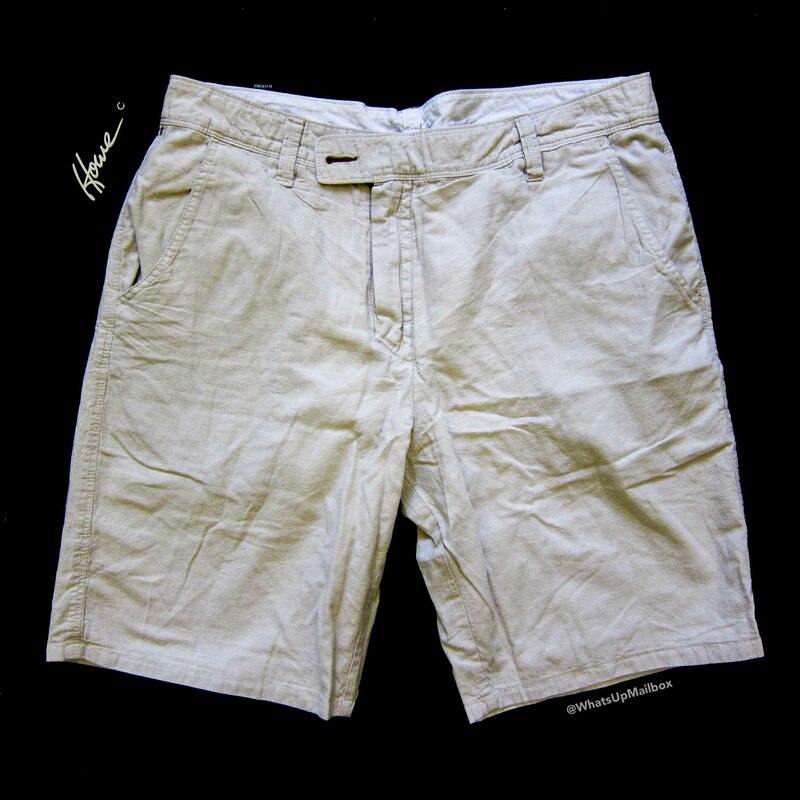 A classic design for shorts. 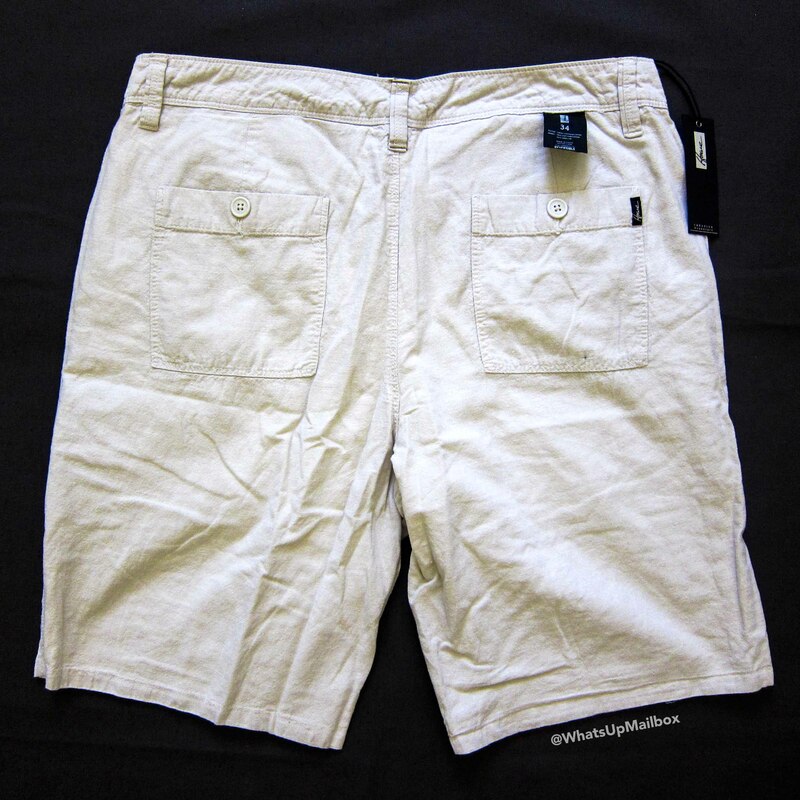 When reversed, these shorts become a solid light khaki color! It still has the front two pockets, the belt loops, the button closure… it literally looks exactly like the reversible side minus the plaids. This is amazing! The back side looks exactly the same as well! It does show the tag though, but that can easily be removed by cutting them. The length is perfect and the material is lightweight. You would think that because it’s reversible, it would be somewhat heavy or thick due to the extra material, but no, it’s not any of that at all. These shorts look good and feel great. An item that my husband would never have thought to purchase himself but now loves the idea! 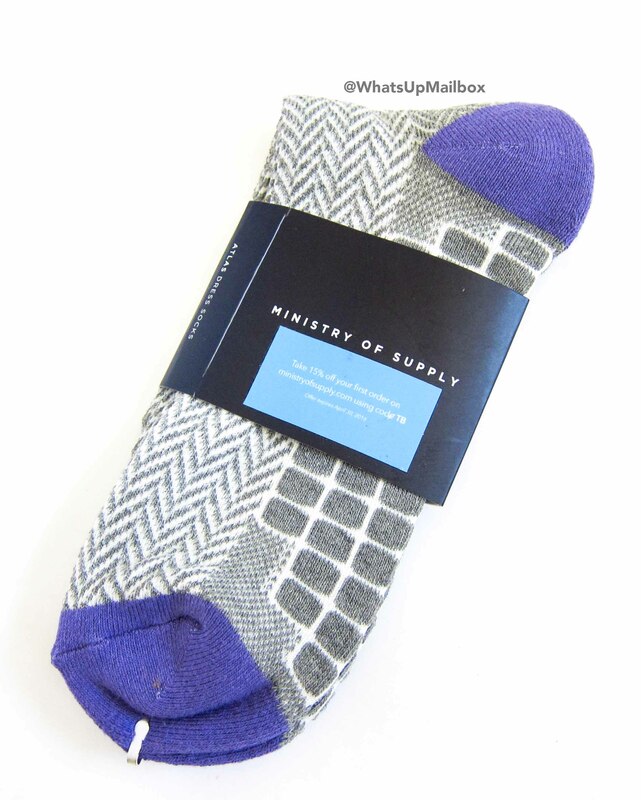 These socks are being sold for $15 currently and the material is made of 40% coffee-infused recycled polyester, 40% cotton, and 20% elastane. I’ve never heard of coffee-infused material before but it tunrs out that they have an odor control benefit. 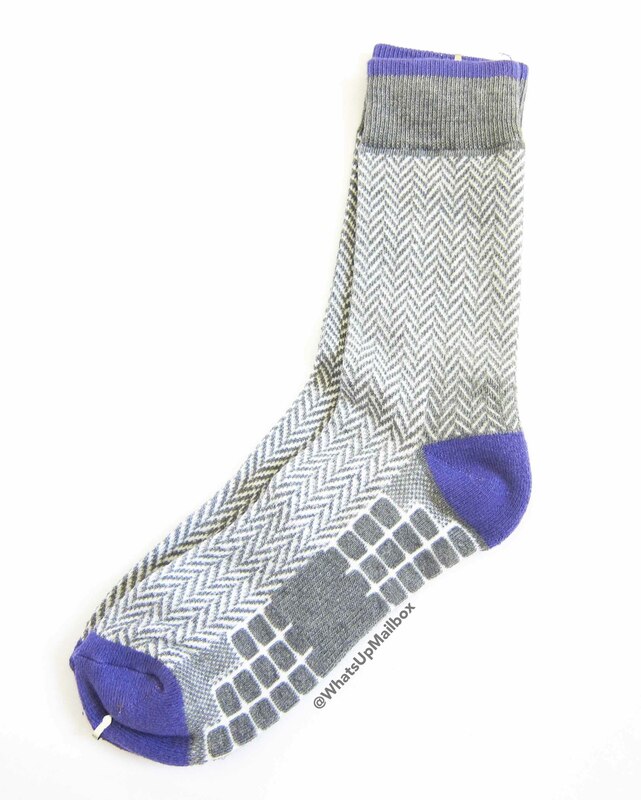 The herringbone pattern with purple patches on these socks make a great combo. And as an added bonus, they also included a 15% coupon code in the packaging. These socks are comfortable and fit well. Nothing to complain here! My Thoughts: This is my first experience with Trendy Butler and I have to say that it’s pretty good. 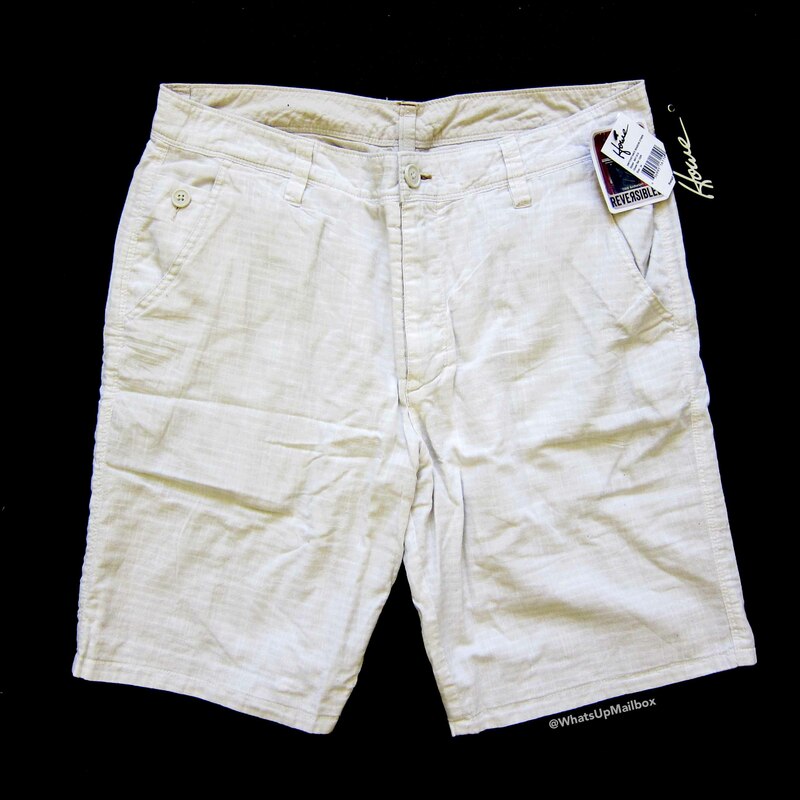 My husband tends to buy his clothes from Nordstrom or Neiman Marcus and I would say that the items they sent are definitely on par in terms of quality and brand, especially since the shorts are actually still sold in Nordstrom! The other brands featured are also on trend and modern, just the type my husband likes. They definitely listen to what your style or needs are and try their best to deliver. Plus the value is totally there and for the price you pay, you certainly get more with the added bonus of convenience. 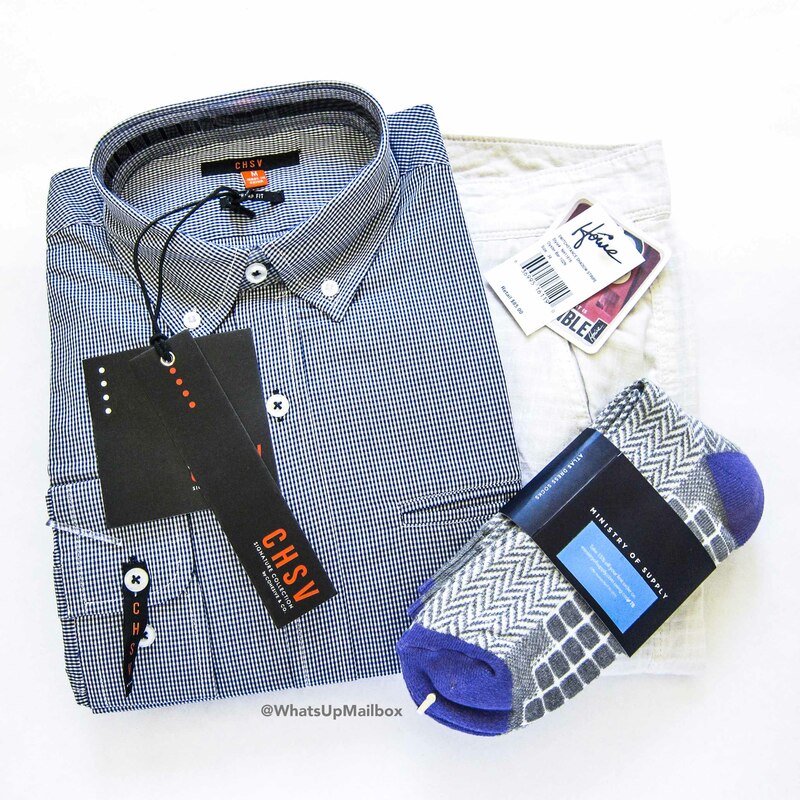 If you’re a busy professional who doesn’t have time to shop for clothes that often, or need additional fashion assistance to step up your style, I would say try this subscription out. 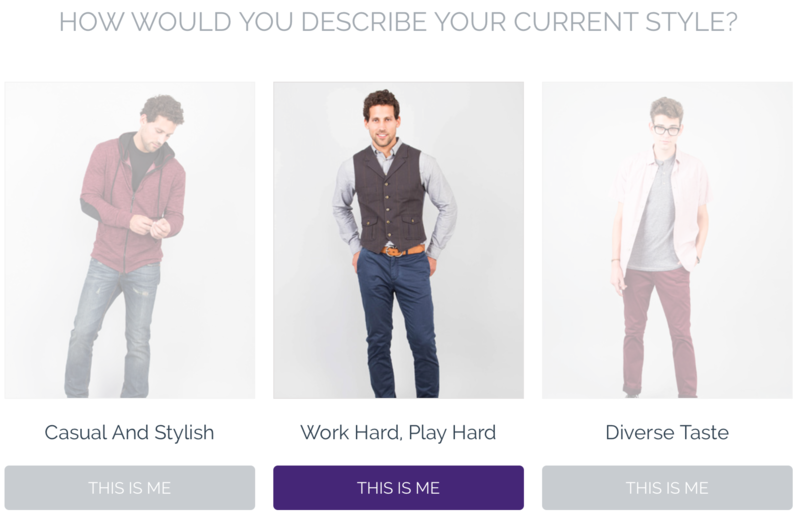 It’s like having a personal stylist that delivers fashionable clothes to you every month. I can’t wait to see what they send next month!